How your presentation is too long! Do You Wish You Had More Sales? Are you closing all the sales you want to? Are some falling short for reasons you don’t understand? Get a jumpstart on how you can stop wasting time on people who will never purchase from you with a 10-step checklist system that will give you rock-solid confidence in selling. No matter what product or service you provide, we are all in the business of selling. Begin to hone your skills today with this FREE Strategic Sales Book. It will get you on the right path for mastering the art of closing more and sales and keeping your sales pipeline filled and flowing consistently, efficiently, and effectively. You can’t teach an old dog new tricks, if he doesn’t want to learn. I was seeking knowledge on how to promote my business in today’s technological world. Benjamin Brown blew me away with his expertise, he gave me the exact information I was seeking. I highly recommend him for anyone looking for the ‘razor’s edge’, he is a Blue Chip investment. Ben helped me out with my marketing strategy for my business sooo much. He gave me so much insight on what I should be doing and what I shouldn’t be doing. Ben can truly help any business or entrepreneur achieve the one thing everyone needs……sales. 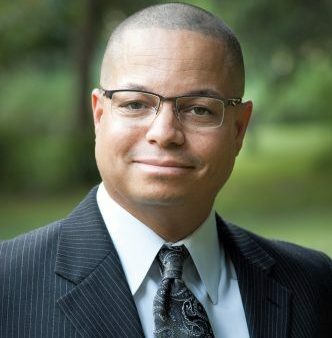 Benjamin Brown is a father of two young children and holds a Bachelor’s Degree in Business Management. He has over 23 years of experience in the sales field from multiple positions from sale reps to sales management. Ben is the author of the best-selling book “Master the Art of Closing the Sale”: The Game-Changing 10-Step Sales Process for Getting More Clients and Referrals. His popular sales blog, now at 360salesconsulting.com, focuses on giving great tips and advise for sales people world wide. Ben’s clients who learn to use his proven and tested sales process will grow their sales exponentially. This process can be implemented and adjusted for almost any product or service. Want To Ask Ben Something?